TokyoFlash, purveyors of all the world’s weirdest watch concepts, are introducing a new concept that could keep the streets a little safer. 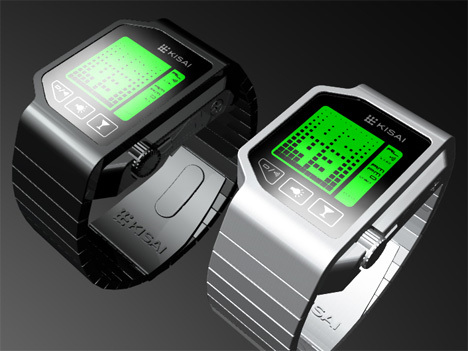 This LCD watch contains a discrete breathalyzer that will tell the wearer just how drunk he or she is after a night out. A small button on the watch face activates the breath test function. You blow into a small port on the side of the watch and wait for your blood alcohol level to be displayed. The device can read amounts from 0.0 to 0.99 – a point at which you would not likely be able to perform the test any longer. 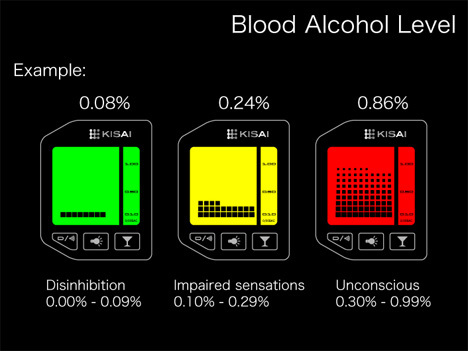 The watch’s display tells you which of your functions may be inhibited or what effects you are likely to be experiencing with the level of alcohol in your body. The range runs from mild euphoria and increased talkativeness to unconsciousness. When the watch isn’t saving lives from drunk drivers, it’s also a pretty attractive digital LCD timepiece with a multi-colored LED backlight. See more in Clocks & Watches or under Gadgets. June, 2011.